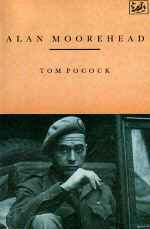 Alan Moorehead was lionized as the literary man of action: the most celebrated war correspondent of World War II; author of award-winning books; star travel-writer of "The New Yorker'; pioneer publicist of wildlife conservation. Then, at the height of his success, his writing suddenly stopped and when, 17 years later, his death was announced, he seemed a heroic figure from the past. 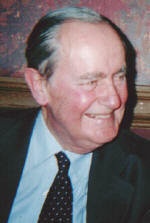 With exclusive access to unpublished letters and diaries and after extensive interviews with Moorehead's family and friends, Tom Pocock tells the story of the young Australian whose fame as a writer gave him the friendship of Ernest Hemingway, George Bernard Shaw and Field Marshall Montgomery and whose courtship and marriage to the beautiful Lucy Milner is reflected in a remarkable sequence of love letters. In this biography Moorehead appears as a man with a great appetite for experience and the ability to convey it, worthy of the epic times in which he lived. "Pocock's biography is excellent...it would be difficult to think of a better guide to the life of a Second World War correspondent." "This is a model biography." "A perceptive and fascinating account of an exceptionally talented man." "No one has captured better...the war correspondent's trade." "Pocock's book is as significant for the issues it broaches about war reporting as for its chronicle of Moorehead's life...it is important reading."